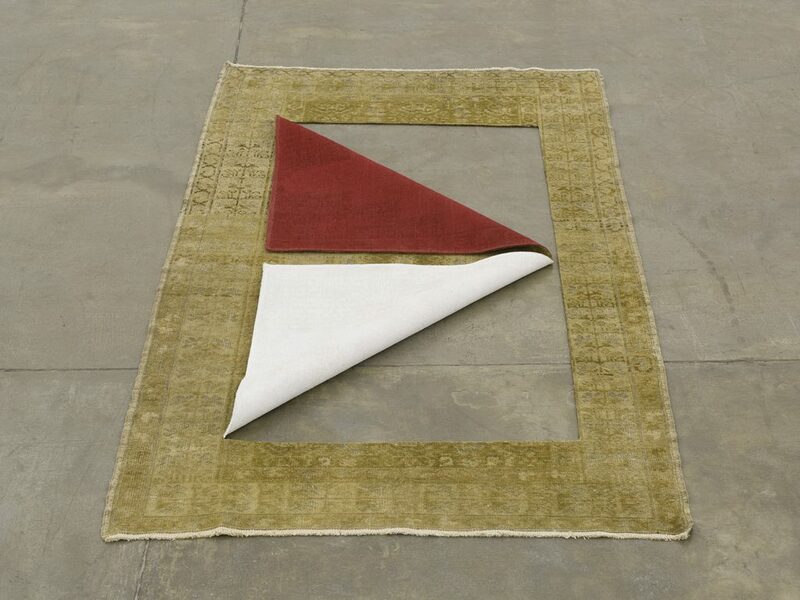 The occult, the domestic and geometric abstraction can occupy the same place. At least that’s the feeling you get when visiting “Lugar Comum” (Common Place), the latest solo exhibition of Valeska Soares, the artist born in Belo Horizonte (1957) and radicalized in New York. The works, produced in 2016, include sculptures and wall pieces that emanate a kind of decadent glamor on common and antique objects. 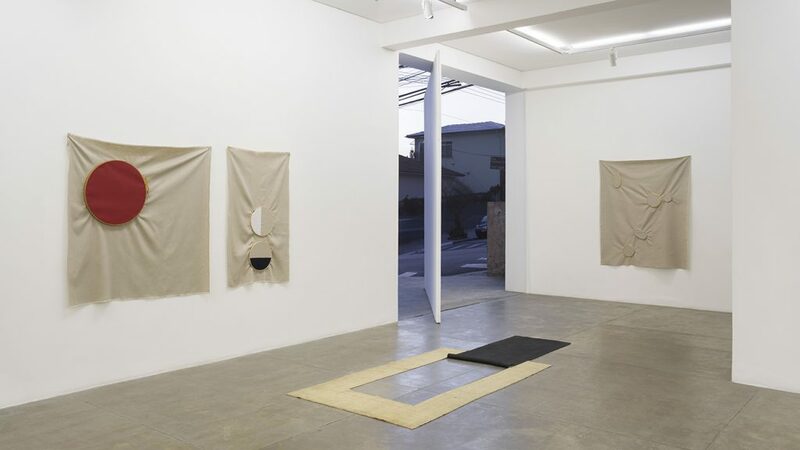 Upon entering the gallery’s side door, the visitor faces the work “Ground II,” a cut, painted and folded carpet on the floor that subtly dialogues with that door by the way that both are set in space. Two more similar works on the floor nearby offer similar formal investigations. Their presence creates an intimate and mysterious atmosphere, as if the visitor were entering someone’s house. Or a temple of some Eastern religion. 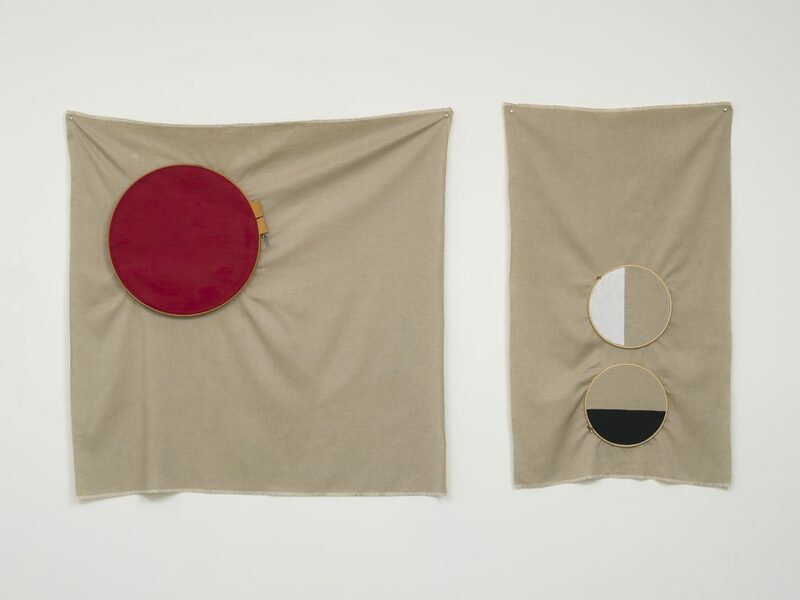 Loose beige, red and black linen pieces on the walls are interfered with by wooden embroidery frames that imprint subtle pleats in their smoothness. 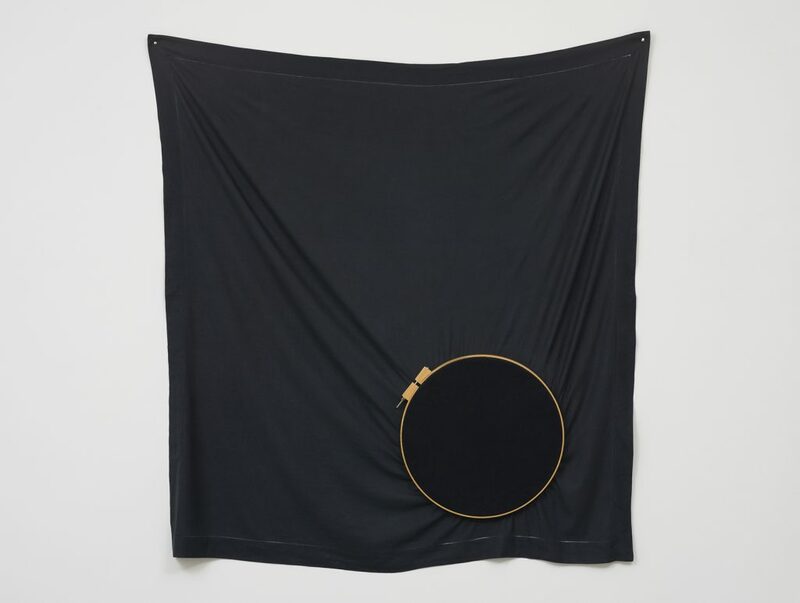 Among them, “Conjunction I” mimics a mirrored surface—one of the recurring elements in Soares practice—whose wooden embroidery oval frame, filled with acrylic and silver leaf, resembles a Victorian mirror. This element also arises in the work “Untitled” (2016). The arrangement of these fabrics and carpets is interrupted by the volumetric sculpture that gives the exhibition its name, composed of four wood-and-straw chairs coupled by seats forming a cross. 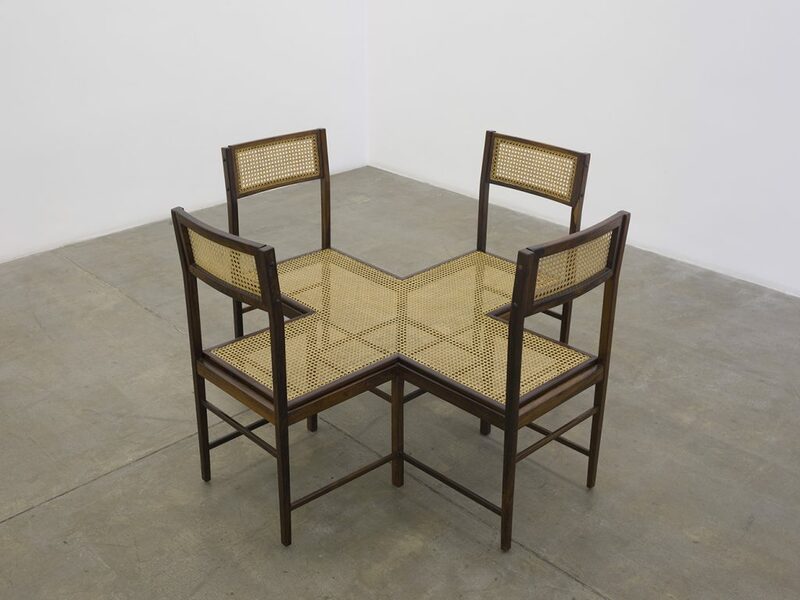 Here, Soares creates new hidden narratives about the chairs, displacing their everyday functions. “Lugar Comum” attempts to unveil the forces that connect the geometry, the sensual fluidity and the mystery of objects, endowing them with multiple meanings. In Soares’ hands, they abandon their “commonplace” to become something beyond reality.